The AVA500 from iRobot started with a text based interface that was clunky, ugly, hard to use and short on features. 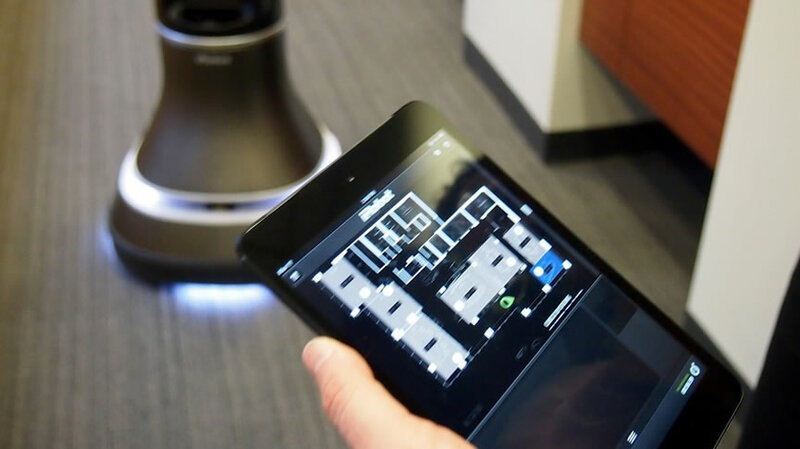 In response, iRobot turned to Geisel Software to redesign their configuration console that lives on this highly anticipated robot. 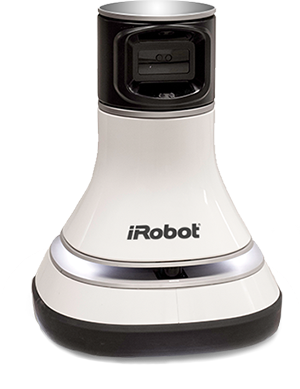 iRobot Ava Mobile Robotics Platform is a breakthrough solution suitable for 3rd party development and a wide range of applications. It is capable of autonomous navigation in a complex, real world. The AVA500 from iRobot started with a text based interface that was clunky, ugly, hard to use and short on features. They needed a company that had the technical ability to understand and deliver the underlying robotics software, but who also had the artistic talent to wow the clients of a top-tier robot. 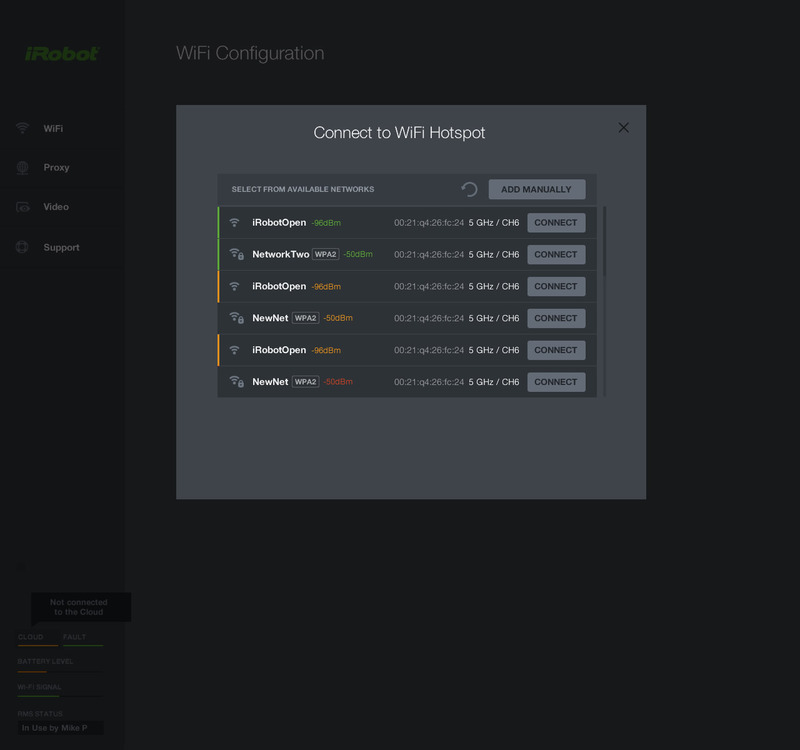 In response, iRobot turned to Geisel Software to redesign their configuration console that lives on this highly anticipated robot. 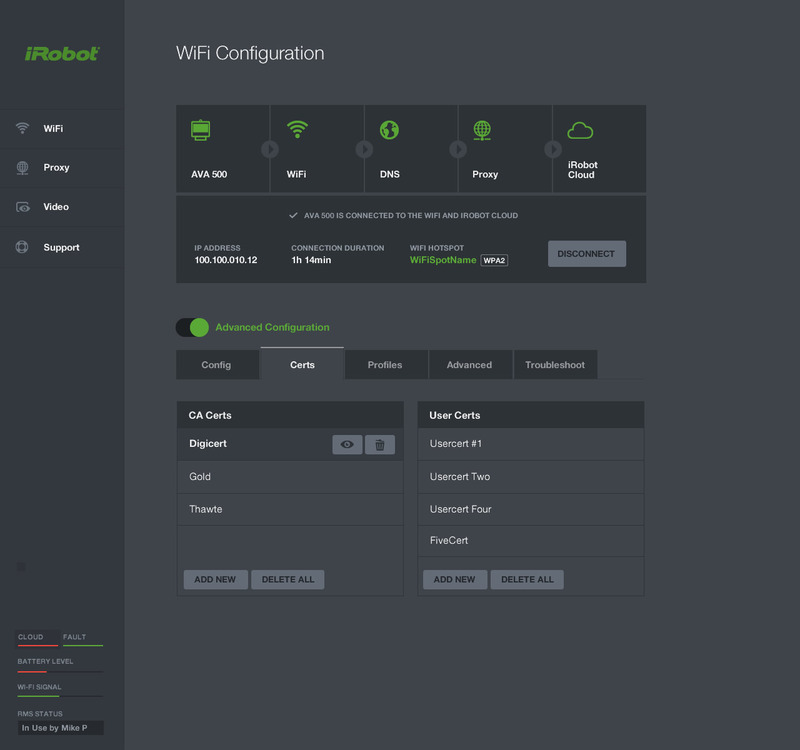 Geisel Software was able to design an on-robot web application that simplified the configuration process and made the status immediately clear to the user – all green means you’re connected to the iRobot cloud! 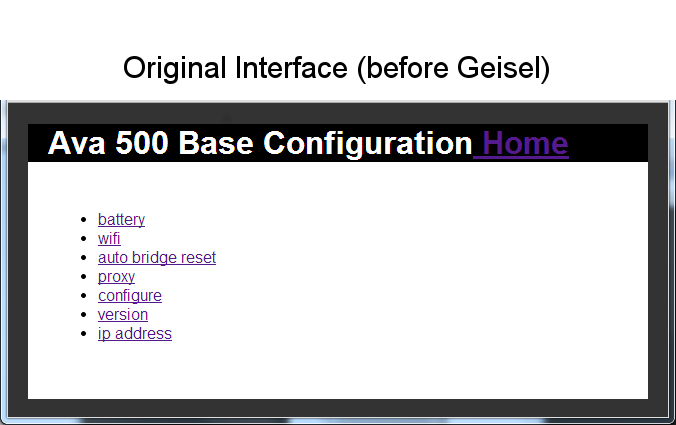 The design for this interface needed to be concise and clear and fun in a very professional way. 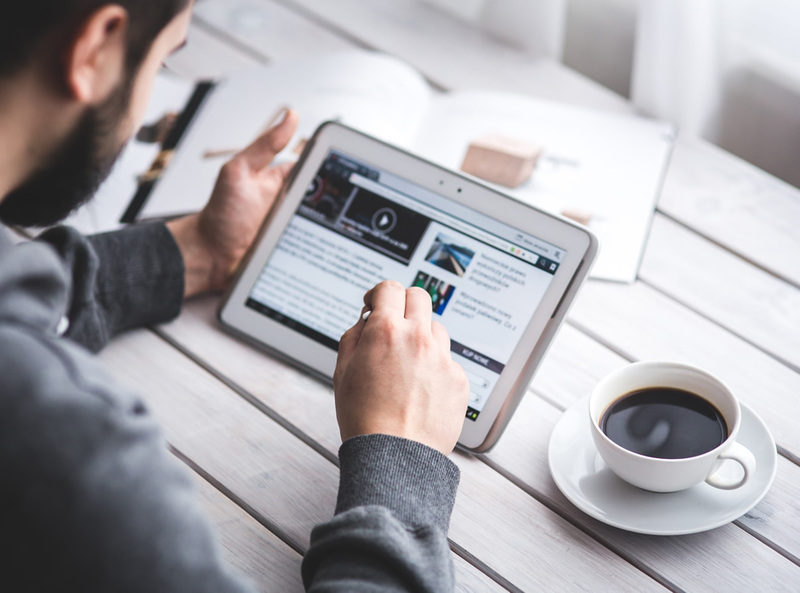 It will typically be used by IT staff and not end users, so it needed to conform to iRobot’s style guide while giving it a comfortable feel to someone who is frequently configuring networking equipment. Through a wizard-like series of popup windows the design was able to achieve simplicity and familiarity for those who use it most.